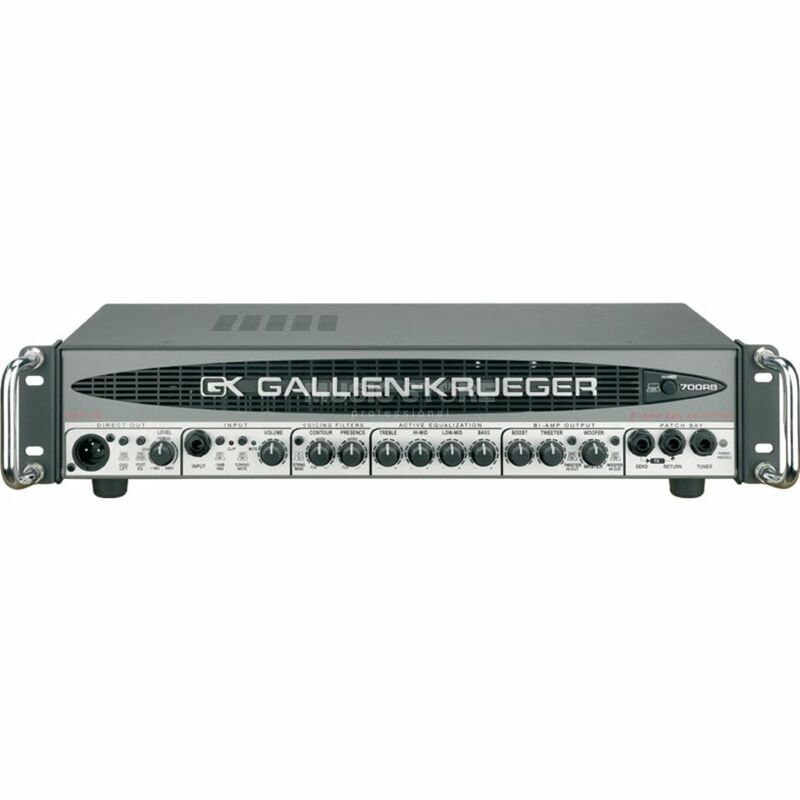 The Gallien-Krueger 700RB-II is a biamped Bass Guitar Amp Head that delivers 480W to your woofer and 50W to the horn. The Gallien-Krueger 700RB-II features 4 bands of active EQ plus three additional voicing filters to help you find your perfect sound. An extremely high-current power supply and matching power amp circuitry extract every ounce of this head's awesome output. Its high-current design eliminates the need for current-limiting circuitry that muddies your tone.